Replacement: None. We are no longer carrying this part in our catalog. This page is for reference only. Pimp your robot with these black plastic wheels. They fit onto a 3mm D shaft (see related motors below) and also have mounting holes for mounting hubs as well. 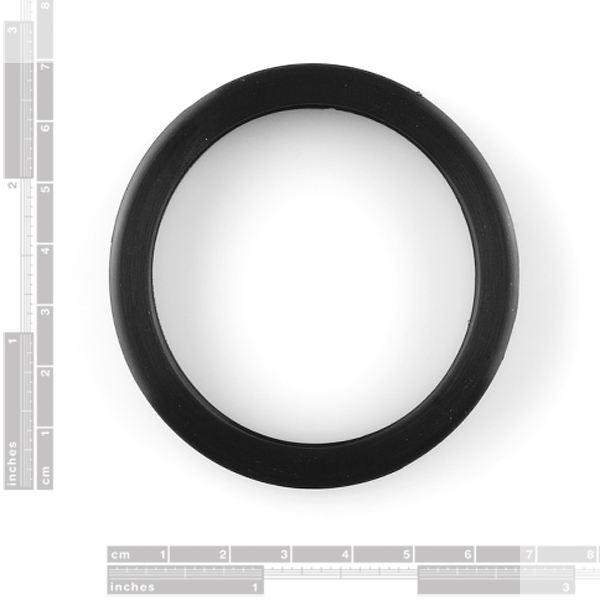 They come with a silicone tire and are 90mm in diameter. Sold as two wheels and two tires. hey do these work with 37D mm motor shafts ? 37D shafts are 6mm. 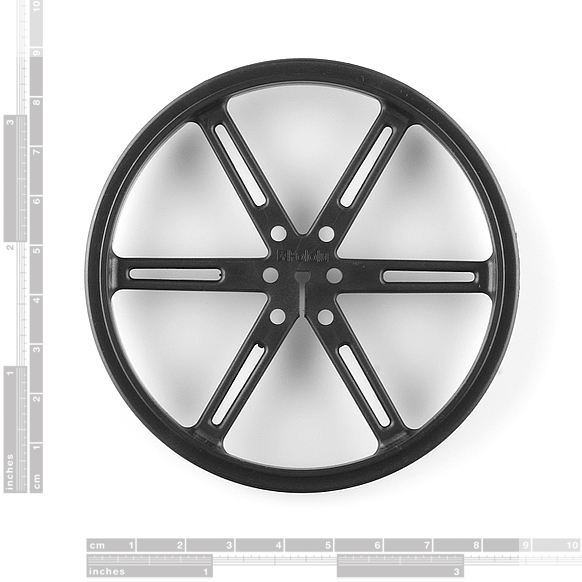 This wheel is designed for 3mm shafts. 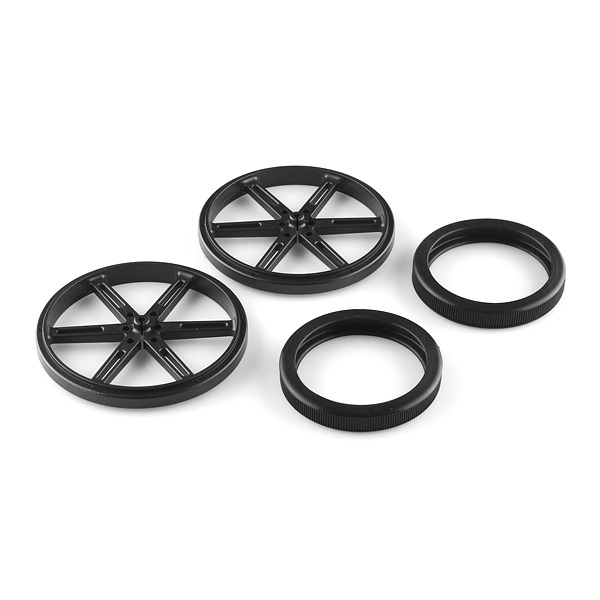 These wheels have mounting holes that work with Pololu's universal mounting hub for 6mm shafts, which makes it easy to use these wheels with Pololu's 37D mm motors (the wheels also work with the 4mm and 5mm mounting hubs if you want to use them with other motors). Does anybody know where I can find just a 3mm shaft? I want to use a set of these for non drive wheels but I'm not sure the best way to mount them if not connected to a motor. I bought these from a different site, but I just wanted to say that these are a pain to attach to servos (modified for 360 deg.) I ended up using some double sided foam tape from servocity to attach them to the servo hubs. Hot glue would probably work as well. Use one of the hubs that come with the servo and then just screw it together. It works fine because the screw spacing is the same on the wheel as in the servo hubs. The spacing is a bit off. I just mounted servos to mine with the supplied screws and the star hub and it was a cinch.